In 1941, Mr. Modesto Alvarez Romero and Mr. Eladio Díez Ossorio created the company Alvarez y Diez, S.A. and the winery was born. Currently, as a small tribute to these pioneers, it continues to carry their name. 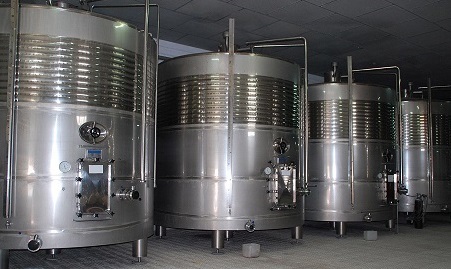 The winery is equipped with state-of-the-art technology. We ferment in stainless steel tanks at a controlled temperature, under 17°C. We ferment each of our varieties separately to obtain their maximum potential and can make over two million kg of white wine. While we make use of modern technology, we also carry on with our historic traditions. We continue to maintain and use the old underground wine cellar that used to belong to the Church hundreds of years ago. Technology and history is infused in our fresh, fruity, harmonic and elegant white wines. Straw-yellow with green touches, lustrous. Forward nose, intensely fruited: floral base with citrus overtones. In the mouth: fresh, structured, balanced acidity and flavourful; very long, with a pleasing hint of bitterness to finish. Bright straw. Delightful nose of intense mature fruit with tropical- fruit notes. In the mouth: fresh, intensely varietal fruit with citrus touches. Very good acidity.